Iglesia Esperanza, or in English Hope Church, is serving their Allapattah community through a food distribution ministry that is meeting essential needs and bringing people to Christ. Jose Garcia, bi-vocational senior pastor, started the food distribution ministry shortly after moving into the church’s Allapattah location—a storefront that they share with another church—in 2016. He was aware of the need in the community and when he found out about Farm Share, he saw an opportunity to meet a need. Farm Share is a food bank which distributes surplus food free of charge, to churches and other organizations feeding the hungry. Since then Jose Garcia along with a group of volunteers from his church and business, distribute food once and sometimes twice a month to their Allapattah community. The bags of food contain items like chicken, pasta, vegetables, fruits, ham as well as canned items. 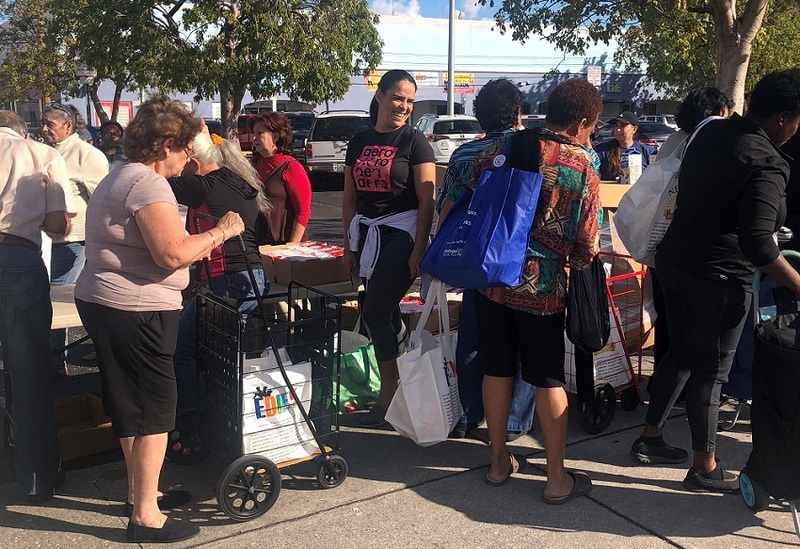 “Some people have shared that they’ve been able to live off of one bag of food for a week or two,” said Ryan Garcia, associate pastor and Jose’s son. “This is the tool God has given us and we’re being obedient,” said Garcia. “The Friday before distribution we go to the Farm Share warehouse in Homestead at 3 a.m.” From there he and his team of volunteers transport the food in his business trucks be bagged for distribution the next day at their church location. “The first time we did it we were only able to distribute 26 bags but the last time we did it we passed out 520 bags,” he said. As the ministry has grown the church has also grown. “We started with 17 people meeting in my abuela’s house,” said Ryan Garcia. On Sundays the church now averages between 60 and 70 people. “[This ministry] has helped the church grow and be known as a church of love,” said Jose Garcia. Many of those who attend on Sundays connected with the church through the food ministry. 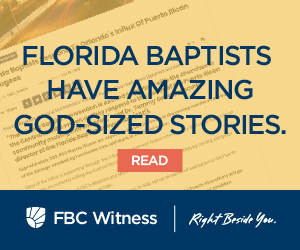 Al Fernandez, southeast regional catalyst of the Florida Baptist Convention, says “Jose is planting in a place few want to go into. It is a very spiritually dark place, when you go in there you feel a spiritual oppression…people are involved in Santeria and Voodoo.” But he adds that Iglesia Esperanza is doing a good job of reaching into their community with the hope of the Gospel.